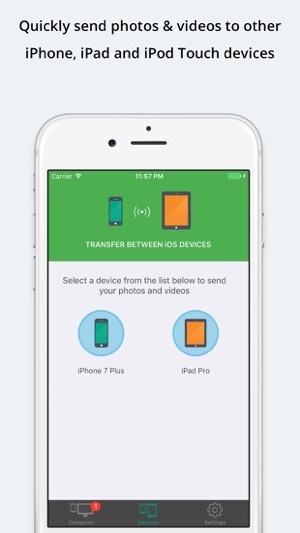 With over 4 million downloads, Simple Transfer is the easiest way of transferring your photos and videos to/from computer and other iOS devices wirelessly. It also converts photos to JPEG/HEIC, HEVC videos to H.264 format and Live Photos to videos. No need for cable, iTunes or extra softwares on your computer. 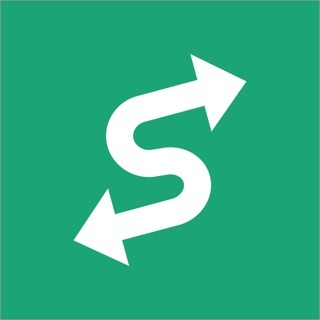 ●●●●● "Have never looked back since finding this app! Couldn't live without it now." ●●●●● "Turns phone into a web server with great user interface! Best feature: "Select All" so many other apps miss this option." 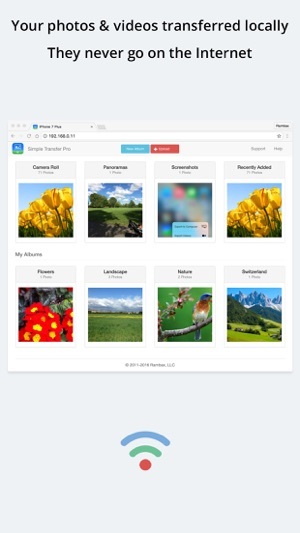 ◉ View all your photo albums and videos on your computer and download them by a single click via WiFi. 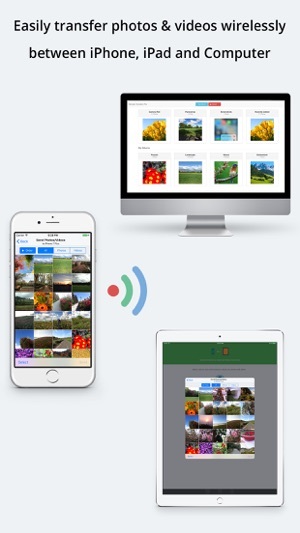 ◉ Safest way to transfer your photos and videos in your local wifi network. They never go on the Internet or stored on any external server. ◉ Works on Windows, Mac and Linux and it's fast! 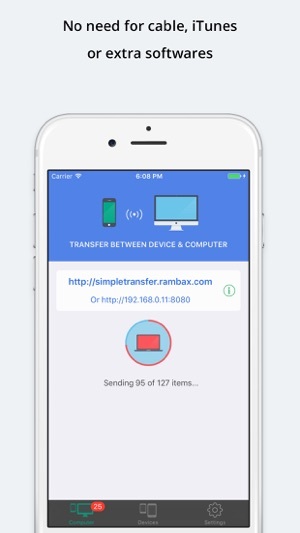 Simple Transfer does not use or transfer your files to any external server. It provides a completely private website to be accessed by only computers that are directly connected to your local WiFi network. Your photos and videos cannot be accessed from the Internet. 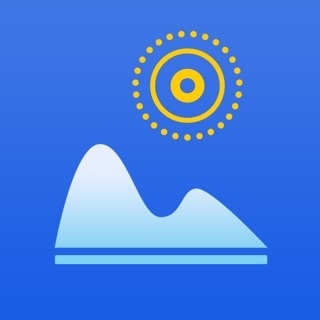 * In the free version of the app, you can transfer only the top 50 items of each album. Export to JPEG and H.264 is also not available on the free version. You can remove these limitations by upgrading to the Pro version inside the app. 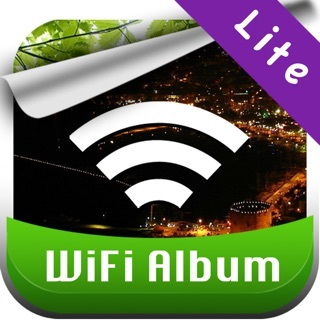 We have created this app as free so that you would be able to test the app on your WiFi network and upgrade to the full version only if you are happy with it. Wow. 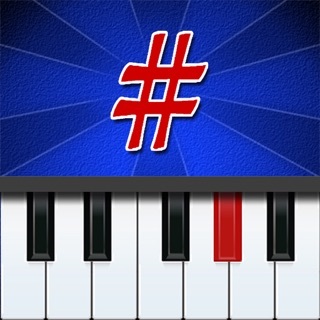 I’ve used this app in the past and it was ok. Not great, but it got the job done. I didn’t have the Pro version and I made it work. 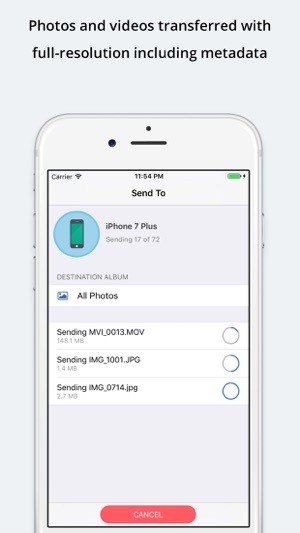 Now I am on a new trip and find out that I can only transfer 50 photos on any given day. Ok, so perhaps they changed that, I am not sure. I am a professional photographer and I need to be able to move photos between my various devices and so I bought the Pro version and now I want my money back. This thing is a turkey of the first order. I can’t get it to recognize any of my devices no matter how many times I go to their website and attempt to follow their directions. My advice is to forget this pretty lousy app. I have asked for my money back because it won’t work and I will see how they respond. In the meantime I am going to get something that actually works. 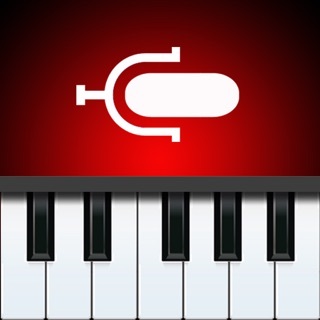 Only app of several that really does the job! When my MBPro stopped recognizing my iPhone (device is locked error message when it wasn't) I thought I was truly sunk. Camera roll had 5600 pics & videos that needed DL for editing. Purchased 3 other apps that did nothing except crash or freeze my phone and then tried this one. THIS app enabled me to transfer all my files pretty painlessly. My one word of advice is if you have a large library as I did, break the task into smaller chunks. That will make confirmation of file DL and organizing said files much easier. So relieved I found this and will continue to use it going forward!